Deborah "Debbie" Gottschalk, 69, of Burlington, died at 4:10 AM Friday, June 23, 2017, at the Burlington Care Center in Burlington after a courageous battle with ovarian cancer. Born June 8, 1948, in Maquoketa, she was the daughter of Paul T.J. and Geraldine Ruth (Schunter) Hayes. On April 22, 1972, she married Glen Lee Gottschalk at First United Methodist Church in Maquoketa. He died August 8, 2016. Debbie was a library associate at North Hill Elementary School, Corse Elementary School and the Burlington Public Library. She also worked at Good Shepherd preschool. She was a 1966 graduate of Maquoketa High School and attended the University of Iowa. She was a member of Zion United Church of Christ where she sang in the choir and played in the hand bell choir. She especially enjoyed the choirs monthly visits to area nursing homes to sing. She enjoyed reading, cooking, knitting, crocheting, card games, board games, computer games and was an avid Iowa Hawkeye fan. Survivors include two daughters, Caroline "Carrie" (Jeffrey) Stout of Charlottesville, VA, and Rachel (Peter) Rugg of Davenport; two grandchildren, Catherine & Elizabeth Stout; one brother, Mark (Debra) Hayes of Bettendorf; and several nieces, nephews, and cousins. Visitation will be from noon until 7:00 PM with the family to receive friends from 5:00 PM until 7:00 PM Thursday, June 29, 2017, at Prugh~Thielen Funeral Home. 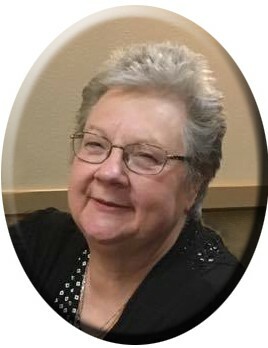 The memorial service for Mrs. Gottschalk will be 11:00 AM Friday, June 30, 2017, at Zion United Church of Christ with Reverend Brice Hughes officiating. A time of food and fellowship will be held in the fellowship room at Zion United Church of Christ following the service Burial will be held at a later date. Memorials have been established for Zion United Church of Christ and the Burlington Municipal Band.